It always annoys me when people quote “inconceivable!” or “My name is Inigo Montoya…” from The Princess Bride. Not because those are bad quotes, but because I always feel they’ve missed the true gems in that movie. In the wonderful Battle of Wits scene, Vizzini, after being sure that he has won the battle, laughs at The Man in Black: Ha ha! You fool! You fell victim to one of the classic blunders – The most famous of which is “never get involved in a land war in Asia” – but only slightly less well-known is this: “Never go in against a Sicilian when death is on the line”! This is the power of the incumbents’ bias. It’s natural, and I have seen it with an overwhelming majority of my clients. 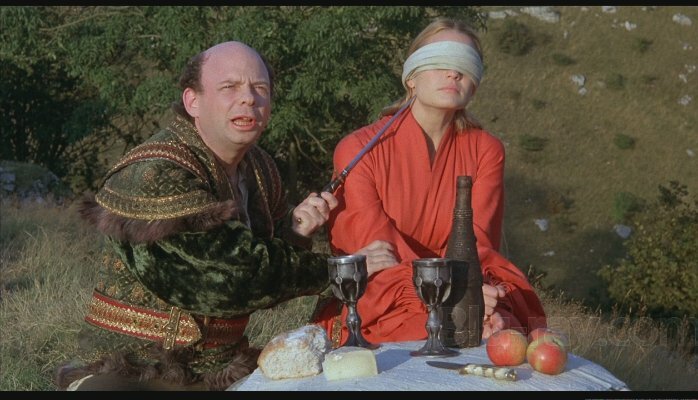 The investment in our current business, especially when it is successful, is so seductively blinding that, like Vizzini we are sure that we are on top of things….and then we die. In 2011 the Mobile-Network-Provider sector in Israel experienced disruption that did not stem directly from innovation or technology. It was political. It was championed by one man, Moshe Kahlon, coming from the back-seats of the 2009 winning party, to be appointed the Minister of Communication. He opened up the Cartel-like 3-company market by changing the license conditions and forcing the 3 companies, owning the infrastructure, to sell services to MVNP (Mobile Virtual Network Providers), to allow users to move from one provider to another, without losing their number and with ease. In 5 years the Israeli mobile market changed from one of the most expensive, least competitive markets in the world, to one of the cheapest and most vibrant. For about 15 dollars a month, the high-end bundle, a user gets almost unlimited data, roaming services in over 50 countries, international coverage and more. The U.S. hearing aid industry converted to 100% additive manufacturing (3d printing) in less than 500 days. Clearly a technology-induced disruption. With connectivity improving (quality and scale) with each passing year (smartphone penetration, internet global coverage, IoT, etc), the financial sector is not at high risk of disruption – it is IN disruption. Alternative lending, crowd-funding, Bitcoin, Blockchain, NFC and other trends and technologies are changing the way people think about and use money, as well as how they think of banks. What will happen when these new services and service providers network together – will they create a new form of banking? The Fin-tech industry is changing in front of our eyes and banks in 5 years will probably be dramatically different. There are so many other examples. The wave of refugees from Syria to the EU, can easily be described as a geo-politically induced disruption with the potential to affect not only societies and governments but also the business sector. I purposefully did not mention the famous examples such as: Uber, Airbnb, Lyft, Tesla, Space X and others. I think we’ve heard enough about them – but if you want me to write about them as well, simply ask and I will. I would be very happy if you add your own thoughts about disruption and share examples you might have. The Merriam-Webster defines the verb Disrupt: to cause (something) to be unable to continue in the normal way: to interrupt the normal progress or activity of (something). Etymonline.com dates the word disruption to the early 15th century. It stems from dis- “apart” + rumpere “to break”. Up until the 1990s the term was used to describe a disaster. The first time (I could find) the term was used in a similar way to its current meaning was in an article published in the Wall Street Journal in 1992 – WRG’s ‘disruption’ manifesto. It was described as a process of creative destruction. (for more about this read the wonderful post What if we brought order back into Disruption? by Nicolas Bordas. The term Disruptive Innovation was coined in 1995 by Clayton M. Christensen (in an HBR article https://hbr.org/1995/01/disruptive-technologies-catching-the-wave) and focused on breakthrough innovation and technology. It later (1997) appeared again in his celebrated book The Innovator’s Dilemma. Since then the term accrued rich semantic value and is widely used to describe, sometimes too freely, a spectrum of phenomena. I created my definition (which I invite you to contest and improve) by combining the dictionary definition and the way market leaders experience disruption. Disruption – A surprising change of the “rules” that makes existing value creation strategies (business models, assets, capabilities etc.) ineffective. Surprise – Disruption entails the incumbents being surprised and therefore unprepared. Change of the rules – The idea is for the basic assumptions of the industry to be changed. The change can and often does stem from breakthrough innovation or technology, but it could also stem from: regulation, geo-politics, behavioral trends and others. It is true that technology seems to be the most primitive force at play and that the other sources of disruption seem to be 2nd order derivatives. Nevertheless, our work here focuses on practical tools we can apply in order to transition into disruption and therefore we are interested in de-facto, identifiable sources and not the pure philosophical idea. Making existing value creation strategies ineffective – seems pretty self-explanatory.